The U.S. Federal Reserve raised interest rates on Wednesday for the first time in nearly a decade. For some countries, the decision is going to hurt. The rise in U.S. rates will have an impact on the global economy, but many emerging markets have particularly good reason to be worried. Their governments and companies borrowed heavily in dollars over the last decade, because rates were so low. And investors were happy to pour money into places like Turkey, Malaysia and Latin America in the hope of getting a better return. That flow has reversed in anticipation of a Fed rate hike -- about one trillion dollars was withdrawn from emerging markets between July 2014 and August 2015. Brazil is in a deep economic crisis. Its economy shrank by 1.7% in the third quarter, its currency -- the real -- has lost 31% against the dollar so far this year, and inflation is at a 12-year high. A rate hike in the U.S. will pile on the pain. 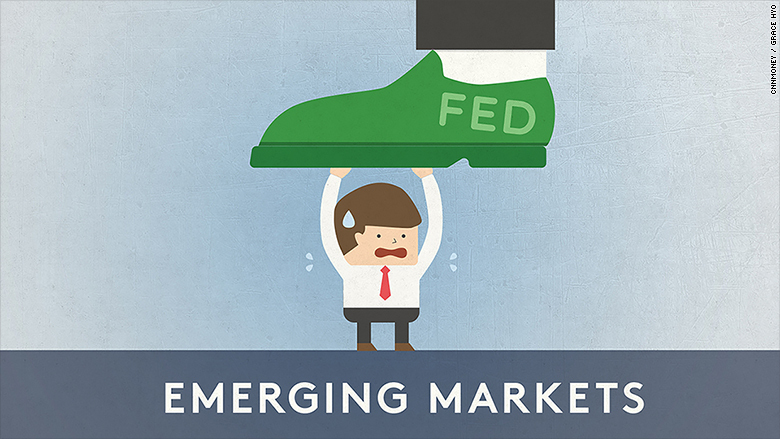 Fanthom Consulting said Brazil is the most vulnerable of all emerging markets to a Fed lift-off. Brazil has the second biggest dollar-denominated debt in the world after China, according to the Bank for International Settlements. Brazilian companies have borrowed billions of dollars over the last decade, and might find themselves unable to repay those debts if the dollar gains more ground against the real. Turkey was one of the countries that benefited the most when the Fed cut rates to near zero. It saw a huge influx of foreign investment and its economy grew 9% in 2010 and 2011. But the picture has changed rapidly. This year, the economy is expected to grow by just 3%. Turkey will suffer if the dollar strengthens further because it imports a lot more than it exports. A rate hike in the U.S. could make Turkey's imports a lot more expensive. Standard & Poor's has warned that the country's banking sector is too reliant on short term borrowing abroad. And the cost of servicing Turkey's enormous short term foreign debt of nearly $125 billion, or roughly 8% of GDP, would also rise with the dollar. South Africa is another country that is paying the price for borrowing heavily in dollars when they were cheap. According to Capital Economics, South Africa has one of the highest external financing requirements in the world. That means its currency reserves are much smaller than the amount it needs to service its foreign debt and pay for imports. A stronger dollar would make this problem even worse. South Africa is also suffering because its economy is heavily dependent on mining, which has been crushed by low commodities prices. Russia, Venezuela and Nigeria also depend on commodities exports for big chunks of their government revenues. Because commodities are traded in dollars, their prices could drop even further if the dollar strengthens. 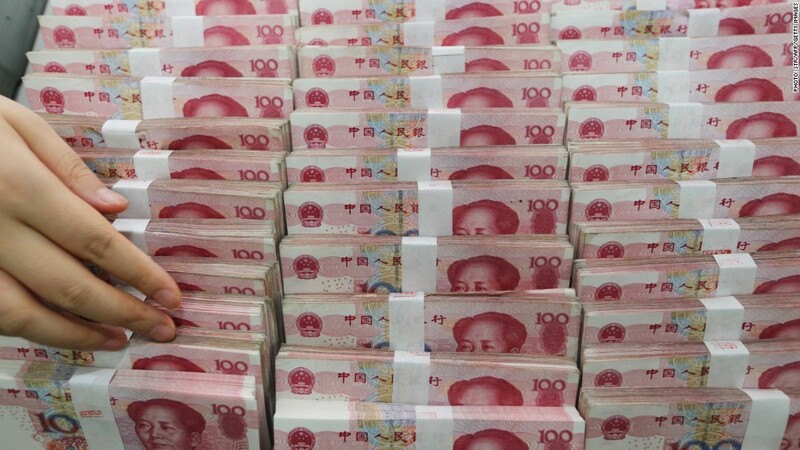 China is also likely to feel an impact, especially since the government has started to allow the yuan to trade more freely. But unlike most emerging markets, China's size, huge exports and foreign exchange reserves give it protection against possible shocks.